If you tried to make a list of the DnB producers who’ve achieved the kind of success Drumsound & Bassline Smith have, you’d find yourself running out of names very quickly. Prolific output, underground credibility, rave-destructive potential, foundational innovation, even mainstream-radio appeal, they’ve nailed every metric. And, now, they’re dropping their third artist album, and, with that reputation preceding them, we already know it’s going to be a killer. If proof were needed, though, the first taste is here. “Come With Me”, as the title suggests, pulls us in immediately. Drumsound & Bassline Smith set us up with a slow-jam bass and R&B vocal. Even as gentle Rhodes arpeggios signal laid-back vibes, though, a kick-build indicates approaching danger, and the tune drops us into beat and bassline fury. There’s a grinding mid-range timbre that’s pure dirt. It cuts through the mix, underpinned by Drumsound & Bassline Smith’s trademark ultra-tight and punchy rolling drums. However, this might be a dancefloor powerhouse of a tune, but it’s a lot more than that. Woven through the track are suggestions of other tunes from across the eras of DnB, giving the tune a depth and timeless quality which is going to mean this isn’t just a vicious deejay weapon. It is a vicious deejay weapon, sure, but it’s a lot more besides. We might have been given a clue as to where Drumsound & Bassline Smith are going with their LP. 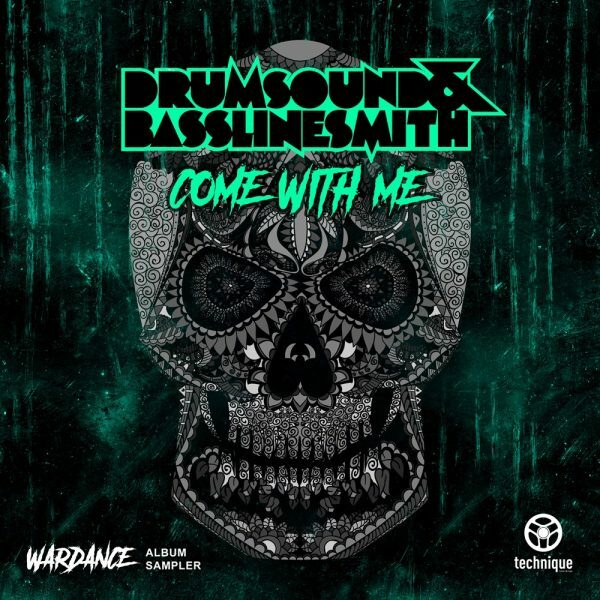 “Come With Me” is a party tune, a dancefloor smasher, there’s no mistaking it. But, with it’s collision of subtlety and hype, soul and aggression, it places itself as part of a narrative about DnB music and its history. If one track can do all that, the whole album might just be something monumental.